Best Air Conditioning & Heating Service Burr Hill, VA | Robert B. Payne, Inc.
Robert B. Payne, Inc. is wholly committed to providing the best air conditioning and heating service in Burr Hill, VA. We work with homeowners and local businesses seeking solutions. When it comes to today’s top HVAC systems, our team handles all your needs in one convenient appointment. Schedule today for solutions, never excuses! An attention to detail and total customer satisfaction sets Robert B. Payne, Inc. apart from the competition. Our team goes above and beyond for your needs. In fact, when you give us a call, we send someone promptly to handle your issues. We’ll sit down and discuss you needs and craft a personalized plan moving forward! 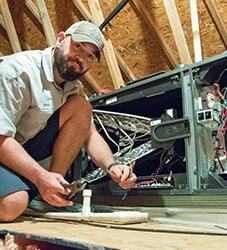 HVAC installation and replacement should always be performed by an expert. By investing in your system, you ensure top performance, an extended lifespan, and higher energy efficiency. Only Robert B. Payne, Inc. can guarantee such extensive benefits for your household or office! Schedule regular maintenance for your HVAC system to keep everything running smoothly. Over time, the system will accumulate dirt and debris, the coils will seize, and parts will break down. Maintenance catches these issues early, before you spend too much on repairs. One the hottest day of the year, you want a working air conditioning system. When your unit breaks down, prompt repairs are the only solution. 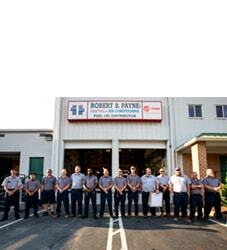 Robert B. Payne, Inc. ensures your system receives the care and attention it needs most. We handle quick repairs and extensive solutions, too! 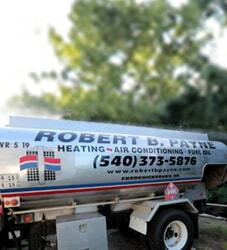 Schedule top air conditioning and heating service in Burr Hill, VA, with Robert B. Payne, Inc.. Give us a call at (540) 373-5876 today! We serve entire Burr Hill, VA 22433.